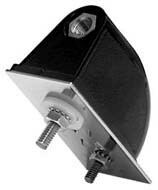 Firestik Cb antenna mounts, coax, parts & accessories. More Firestick items will be added soon. 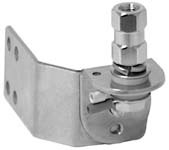 Designed for hood and trunk applications, these stainless steel mounts go on the inside channel of your hood or trunk. There are no visible mounting holes required. All mounting hardware (also stainless steel) is hidden inside the hood or trunk channel. Mount comes complete with antenna mounting stud. 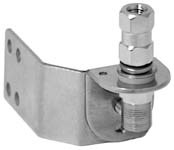 Firestick parts and acceccories for Cb radio antennas.